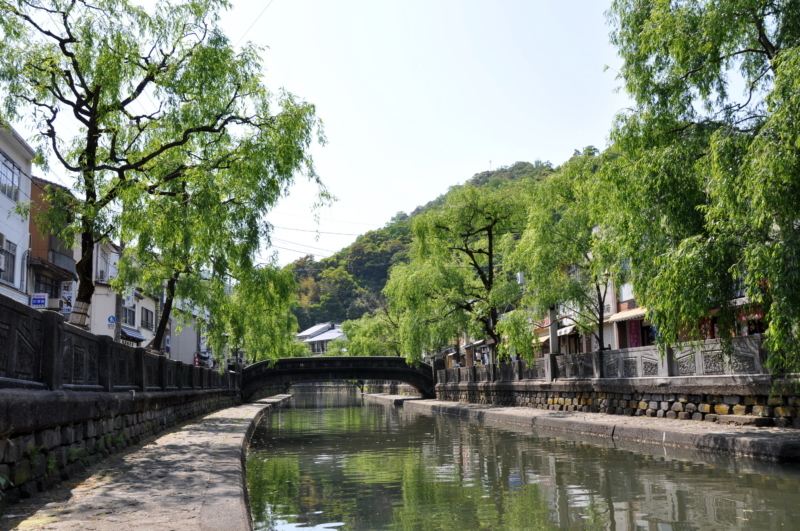 The spa town of Kinosaki lies along the Otanigawa River, a tributary of the Maruyama River. Boasting a history beginning some 1,400 years ago, Kinosaki offers visitors a variety of exciting experiences, such as touring the area’s seven hot springs (public baths) including Kouno-yu and Mandara-yu. A beloved hot spring destination for writers, the city became known throughout Japan as the setting of Naoya Shiga’s “At Cape Kinosaki.” In 2008, the opening of the Kiyamachi-koji shop district brought a lineup of charming stores offering healing services, food, and souvenirs with the motto of creating “Japanese prosperity” in the spa town.